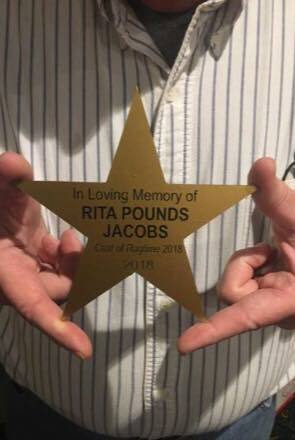 Share A Star forever! Immortalize a memory or a person with a silver or gold star on the Linda Anderson Wall of Stars. 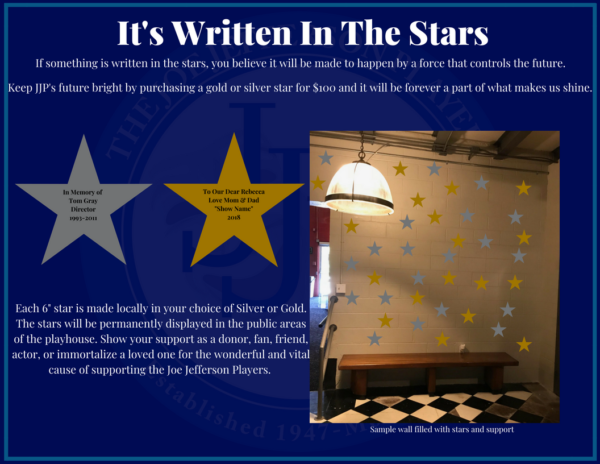 If something is written in the stars, you believe it will be made to happen by a force that controls the future. Keep JJP’s future bright by purchasing a gold or silver star for $100 and it will be forever a part of what makes us shine. Each 6″ or 7″ star is made locally in your choice of Silver or Gold. 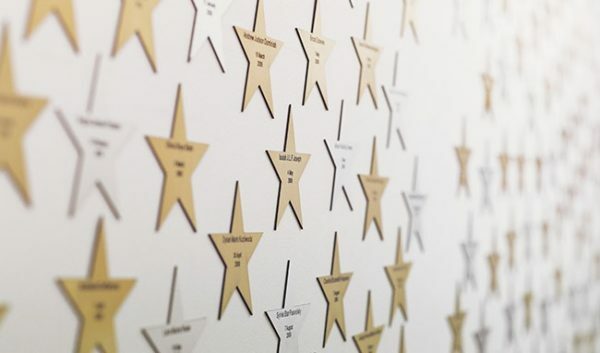 The stars will be permanently displayed in the public areas of the playhouse. 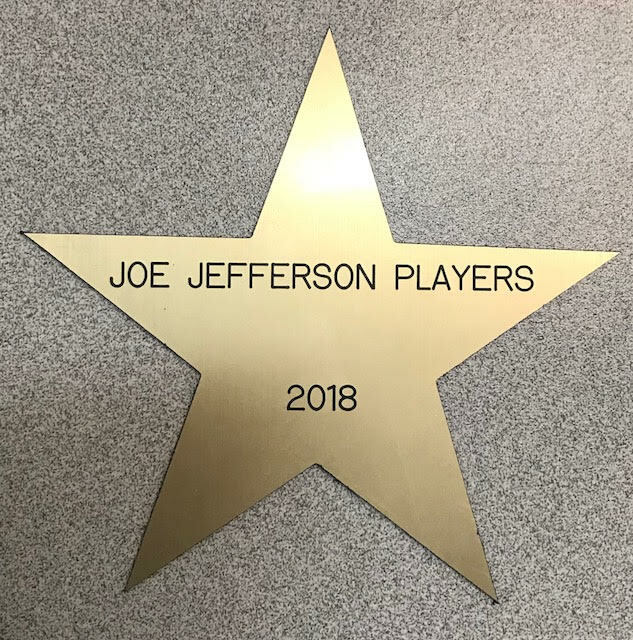 Show your support as a donor, fan, friend, actor, or immortalize a loved one for the wonderful and vital cause of supporting the Joe Jefferson Players.